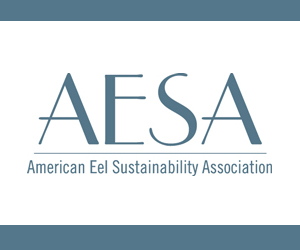 August 1, 2017 — Growing shell and finfish in an aquaculture setting is certainly doable in the Gulf of Mexico according to Sebastian Belle, Executive Director of the Maine Aquaculture Association (MAA). The association recently hosted 20 members of the Gulf seafood community who ventured to the Pine Tree State to examine its innovative aquaculture program. The tour, organized by the Gulf Seafood Institute and funded by the National Oceanic and Atmospheric Administration (NOAA), was designed to showcase the success of Maine’s 40-year-old aquaculture program and give Gulf visitors new insights. In 2016, NOAA filed a final rule implementing the nation’s first comprehensive regulatory program for aquaculture in federal waters. 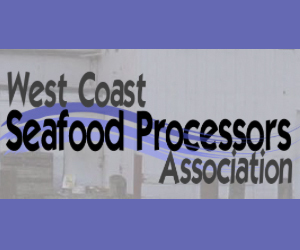 The rule allowed for the establishment of a regional permitting process to manage the development of an environmentally sound and economically sustainable aquaculture industry in federal waters of the Gulf. Throughout the process, NOAA Fisheries has worked with stakeholders to address questions and help policy makers understand the challenges and opportunities in aquaculture. By traveling to Maine, Gulf of Mexico fishermen, scientists and state officials were able to explore real-world examples of successful aquaculture companies and seafood farmers and have meaningful discussions with researchers, policy makers and growers. July 26, 2017 — Southern drawls and Cajun accents mixed with New England Down East tones as 20 members of the Gulf seafood community toured Maine’s innovative aquaculture facilities to identify potential opportunities in the Gulf of Mexico. One voice on the tour was that Billy Nungesser, Lt. Governor of Louisiana, who sees a huge need and opportunity for his state to become an aquaculture leader in the Gulf of Mexico, as well as the world. Nungesser thinks that environmentally sound and sustainable aquaculture is needed in all the states that ring the Gulf to meet the ever-growing need for fresh fish worldwide. He admits that Gulf States, including his, are behind the curve in investing in the growing worldwide trend toward farm-raised fish. Nungesser joined other state officials, fisherman, processors and seafood stakeholders in the tour organized by the Gulf Seafood Institute and hosted by the Maine Aquaculture Association. The National Oceanic and Atmospheric Administration (NOAA) provided funding for learning experience. May 4, 2017 — Harlon Pearce walks muck-booted past processors gutting wild drum and red snapper to showcase a half-full new 5,000-square-foot freezer he hopes someday will house a fresh boom of marine fish. Harlon’s LA Fish sits just across the railroad tracks from the Louis Armstrong New Orleans International Airport, perfectly positioned to ship fish out of Louisiana. No commercial finfish operations are in U.S. federal waters, between 3 and 200 miles offshore. Pearce and others are convinced that jumping into the rapidly growing open ocean aquaculture industry expanding into offshore waters globally is the future of sustainable seafood. In 2015, per capita fish consumption in the United States was 15.5 pounds (PDF), up from 12.5 pounds (PDF) in 1980. Globally, however, the amount of all wild-caught fish has stayed relatively stagnant — at around 90–100 million tons — for the past two decades. Globally, in total, around 160 million metric tons of fish — wild, farmed, marine and freshwater — are produced to satisfy annual demand. The Gulf of Mexico annually yields a catch of about 32,000 tons of wild-caught finfish, which are bony fish such as snapper or grouper. Given regional demand, Pearce said, “our wild marine fish don’t go too far.” To his point, a seafood restaurant is on practically every block of New Orleans’ French Quarter. April 27, 2017 — The Gulf Seafood Institute joined six other Gulf of Mexico seafood industry organizations in endorsing Texas-native turned North Pacific Fishery Management Council Executive Director Chris Oliver for the open position of Assistant Administrator for NOAA Fisheries. In a letter to Vice President Mike Pence and Secretary of Commerce Wilbur Ross, Jr., the fleet of Gulf supporters called Oliver “a motivated and talented leader with a passion for bridging divides among diverse fishing interests. Those qualities would benefit the “notoriously complex” environment in the Gulf of Mexico. The Gulf-based groups to endorse Oliver include: Alabama Charter Fishermen’s Association (Orange Beach, AL), Charter Fishermen’s Association (Corpus Christi, TX), Clearwater Marine Association (Clearwater, FL), Gulf of Mexico Reef Fish Shareholders’ Alliance (Galveston, TX), Louisiana Restaurant Association (Metairie, LA), Southeastern Fisheries Association (Tallahassee, FL) and The Gulf Seafood Institute, (New Orleans, LA). 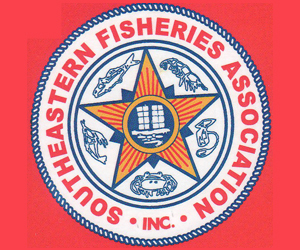 “Federal fisheries in the Gulf of Mexico…involve a host of competing user groups, including our hardworking commercial harvesters, professional charter boat operators, a growing private angling community, and of course, a skyrocketing tourism and consumer economy dependent on the long-term health of them all,” the letter stated. April 21, 2017 — SEAFOOD NEWS — The Fish, Food and Allied Workers union said that hundreds of snow crab fishing boats are being kept ashore by the ice that has built up around Newfoundland and Labrador. President Keith Sullivan called on the federal government to pay compensation to fish harvesters who are kept away from the fishery. “For many, E.I. benefits run out next week, which will leave families without any income for the foreseeable future, since ice is expected to be a problem until at least mid-May,” the FFAW wrote in a statement. New England regulators will allow lobster fishing in proposed deep-sea coral protection zones on the Mount Desert Rock and Outer Schoodic Ridges. The New England Fishery Management Council voted 14-1 Tuesday to ban most fishing in the canyons and plateaus where slow-growing, cold-water coral gardens flourish in the dark waters of the Gulf of Maine. But pleas from Maine lobster fishermen who say a trap ban in fertile gulf fishing grounds would cost them millions of dollars helped sway an initially resistant council to grant a lobstering exemption. 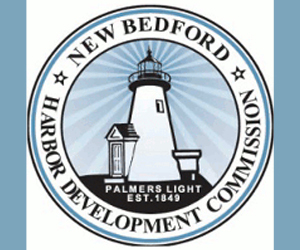 The Council will vote on the exemption at its meeting in June. In other news, Greenpeace released its annual sustainability rankings of canned tuna products sold in the US market. John Sackton writes how these rankings have almost nothing to do with tuna sustainability. “Instead, like other supermarket rankings undertaken by Greenpeace, the ranking system is used to reward banners that conform to Greenpeace’s ideology and punish banners that don’t,” Sackton writes. Meanwhile, the Gulf Seafood Institute and six other Gulf of Mexico seafood industry organizations endorsed North Pacific Fishery Management Council Executive Director Chris Oliver for the open position of Assistant Administrator for NOAA Fisheries. “It is imperative that NOAA Fisheries be guided by an experienced Administrator with a solid track record of uniting these varying interests with a spirit of positivity and mutual respect,” the groups said in a letter sent to Vice President Mike Pence and Secretary of Commerce Wilbur Ross, Jr. Finally, biologists at NOAA Fisheries’ Southwest Fisheries Science Center cracked the code on how to spawn Pacific sardines in the laboratory, opening a new window on the life cycle of the commercially important species. Some in the industry hope it will better inform industry and managers as to what environmental factors would augment wild reproduction and recruitment. As certain as the pageantry of Mardi Gras infuses the party circuits each February on Capitol Hill, early February also marks the annual Walk on the Hill by the Gulf of Mexico’s primary seafood industry advocate. Earlier this week, Gulf Seafood Institute commissioned a three-person lobby —GSI founder Harlon Pearce, founding board member Stan Harris, and executive director Margaret Henderson — to meet key Members of Congress, Senators and staff in 21 legislative offices about the fishery issues that impact their home states along the Gulf coast. A $1.7 million Charter Boat data collection initiative led by the Gulf Seafood Institute (GSI) and technology partner CLS America, Inc. is so attractive that 230 Charter boat Captains are signed on and only 23 spots remain. The program enables Captains with newly installed satellite technology that wirelessly links to mobile tablets onboard to create a real time database with vessel and catch data. Bob Gill, an effective mediator between federal fishery managers and irritated fishermen and industry during his years on the Gulf of Mexico Fishery Management Council, serves as the senior program director for GSI. He calls the first year participation rate “exceptional” and says it shows Captains in the Gulf of Mexico are willing to co-engineer a better fishery when given a clear opportunity to do so. We caught up with Mr. Gill, a Gulf Seafood Institute board member, about the popular pilot program he’s managing. Here are excerpts from the conversation about how it all started, where it’s headed, and how to secure one of the remaining 23 slots. You can READ THE INTERVIEW HERE. 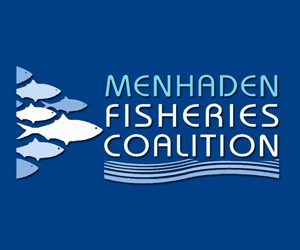 April 19, 2016 — As the eve of 40th anniversary of the signing of the Magnuson–Stevens Fishery Conservation and Management Act approached, the Gulf of Mexico Fishery Management Council met in Austin to discuss numerous fishery issues. Included on the Council’s busy agenda were changes in king mackerel allocation, stock boundaries, and sale provisions; hogfish annual catch limits, minimum size and stock definition; red grouper catch limit increases; and charter and headboat reporting requirements. However, as usual, it was Gulf red snapper that once again stole the show as well as a majority of the Council’s time and energy. 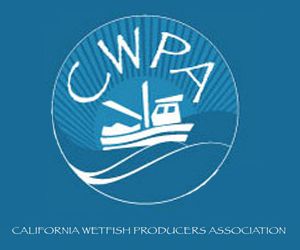 Forty years have passed since Congress passed the sweeping legislation changed the landscape of the American seafood industry and established a comprehensive framework for governing marine fisheries management in U.S. federal waters. The Act created eight regional fishery management councils – including the Gulf Council – designed to address the unique, regional differences in marine fisheries across the country. For years, red snapper has consumed a majority of the Councils time, and the Austin session proved no exception. Red snapper management for federally permitted charter vessels, the 2016 recreational red snapper season and the extension or elimination of the red snapper sector separation sunset provision all topped the agenda, as well as federal reef fish headboat management. 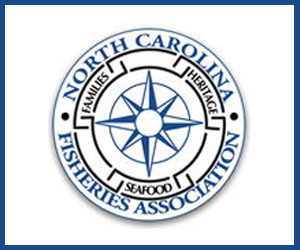 The Council received an update from the NOAA Fisheries Service (NMFS) on red snapper season projections for the coming year. Both the private recreational season and federal charter for-hire season will open on June 1. NMFS predicts a private recreational season of just six to nine days, and a federal charter for-hire season of between 38-56 days. The final 2016 recreational red snapper season closing dates will be announced in May prior to the start of the season. April 12, 2016 — The Joint Ocean Commission Initiative Leadership Council is holding roundtable discussions focused on the Arctic, East, West, and Gulf Coasts, and has invited two Gulf Seafood Institute members to have a seat at its Gulf roundtable being held in New Orleans. GSI’s Board President Harlon Pearce, owner on Harlon’s LA Fish in the Crescent City, and Jim Gossen, Chairman of Sysco Louisiana Seafood, will join other thought-leaders at the invitation-only roundtable discussion on Gulf Coast regional ocean and coastal priorities being held on May 5th at the Renaissance New Orleans Pere Marquette Hotel. April 4, 2016 — Forty years have passed since Congress first passed sweeping legislation that changed the landscape of the American seafood industry from Bristol Bay to Beaumont to Boston. 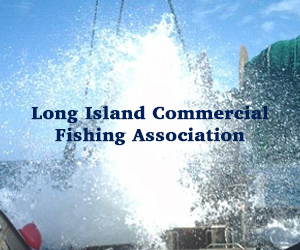 In 1976, the Fishery Conservation and Management Act (FCMA), later to become the Magnuson–Stevens Fishery Conservation and Management Act, was the first legislation establishing a comprehensive framework for governing marine fisheries management in U.S. federal waters. To this day, the Magnuson Stevens Act continues to govern all U.S. federal fisheries. The law is often credited with balancing the need to preserve our nation’s marine resources with the need to preserve the livelihoods of those who depend on them. The original legislation was the brainchild of former U.S. Senator Warren G. Magnuson of Washington state (a Democrat) and former Alaska Senator Ted Stevens (a Republican), with former Massachusetts liberal Democratic Representative Gerry Studds and Alaska conservative Republican Don Young spearheading the House version. The original legislation was designed to Americanize fisheries by controlling or eliminating foreign fishing and then restoring and conserving the fish. It officially gave the federal government the authority to manage fisheries and claimed more than 4.4 million square miles between three and 200 miles from shore as a Fishery Conservation Zone. The area, largest in the world, was later renamed the Exclusive Economic Zone (EEZ).